It's that time of year again. It also happens to be my FAVORITE! The day after Thanksgiving, the holiday music playlist is on repeat nonstop, and all the holiday decor gets brought out. It's the weekend where I become one busy elf getting the house all ready for the season, and our infamous Elf on the Shelf, Marvin, makes his return visit (insert nostalgia here)! I love this season and all that it entails. I also know how this season can be very overbearing for many of us. We tend to put way too much on our plates, and have a mile long to-do list that never seems to find its end. It can also be a stressful and taxing time of year for all areas of health including spiritual, mental, emotional, and physical. Does this season provide different stressors for you? 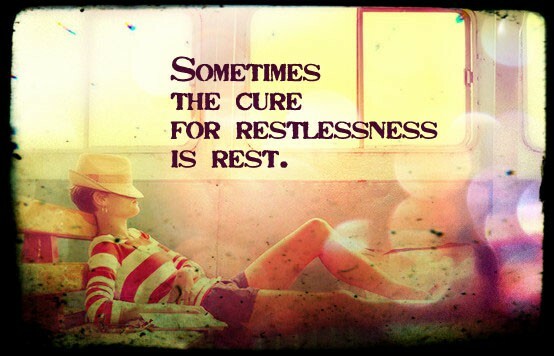 I recently was with a group of ladies in a book study, and the chapter for the week was Revealing the Secret of Rest... Hmmm, how appropriate for this time of year and the season upon us? The author made some very revealing "ah-ha" moments that really struck me. In one passage she used music to show the importance of rest and wrote, "Beats give music its rhythmic pattern. They're also used to count time when playing a piece of music or dancing to it... Rests in a piece of music are the intervals of silence. They're the pauses between beats. Without rests, there is little melody to the sounds. Without rests, we have but a long continuous noise, not unlike the jarring buzz of an alarm clock." What a great perspective to truly understand how important periods of rest are in our lives. Life goes along more smoothly and with less "noise" with regular intervals of rest. Ok, so you may be thinking, "DUH! Of course we need rest!" But ask yourself, especially this time of year, do you really take time out for rest mentally, spiritually, and physically? Can you step away from the to-do list and break it up manageably? Do you need to fit in all those holiday parties, or is it ok to say no? Can you come back from travelling a day or two early, just so you have time to regroup the brain? Can you take "rest" without feeling guilty? Can you slow down just a smidge, so you avoid overdrive? What would it take to make sure you have regular intervals of rest? I'm not saying this requires a complete halt for you (although some may need this), but rest is required! The other key theme I learned from this book chapter was completely eye opening. 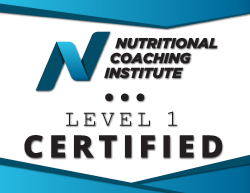 It was the concept of rest for preparation, instead of rest for recovery. Wow! What a completely different perspective than what we are used to. Think about that for a moment. Do you usually go-go-go and then at the end of the day just feel wiped? Do you feel the need to kick the feet up and get a solid night of sleep? That is the typical mindset. We tend to rest for recovery, instead of resting to prepare our mind, body, and soul for our day. Our cycle should start with rest so that we can peacefully prepare and manage life's daily tasks and duties. 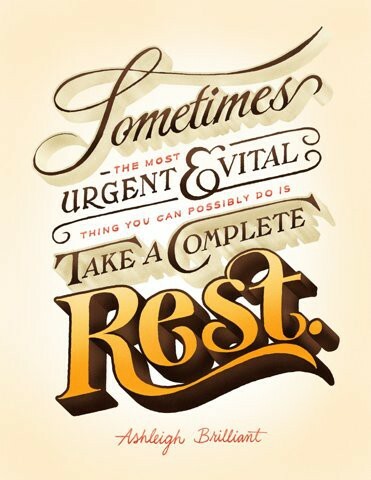 So as we gear up for the peak of the holiday season, do not forget to take time for rest! Your mind, body, and soul will thank you.